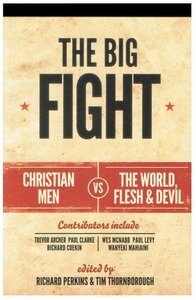 Tim Thornborough is an editor and publisher with the Good Book Company, abd the author and ediitor of numerous books tracts and ministry tools. Some his recent publications are >Workers for the Harvest Field, Why did Jesus die? and Why did Jesus rise?. Richard Coekin is Senior Pastor of the Co-Mission Initiative, a church planting network, and Chairman of Christian Conventions in London, England. He describes himself as 'a forgiven sinner, married to an angel (Sian) and father of five fabulous kids'.